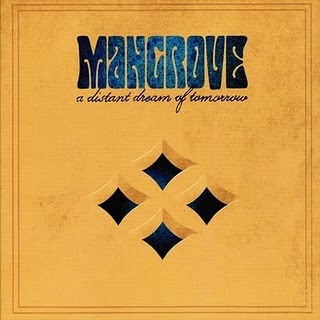 Sweden keeps ‘em coming…Mangrove’s second effort, “A Distant Dream of Tomorrow”, is a classic rock album that is heavy and mystical. Jani Katajas’ vocals contrast between dark caverns and the soaring birds of peace while Fredrik and Magnus keep the 70’s music machine on track. Mangrove is solid classic rock with hints of psychedelic and folk. These guys don’t reinvent the wheel with this effort, but instead bring solid rock to the forefront. I don’t need my music to always be inventive. Most of the time I simply need a band that is solid at what they do. Mangrove is solid and with two albums under their belt, I can only see a bright horizon for these classic rockers. This entry was posted on January 19, 2011 by mooddoom. It was filed under Album Reviews and was tagged with mangrove.